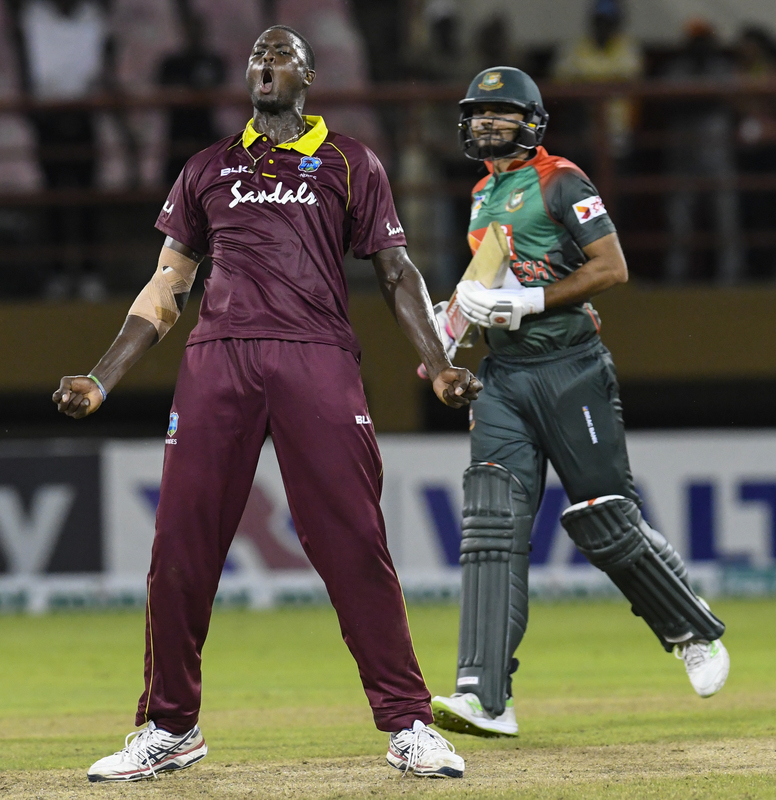 Jason Holder howls after victory watched by Mosaddek Hossain. The Windies cricket team returns to Warner Park this weekend after more than a year since the last played in St. Kitts and Nevis. The Windies will battle with Bangladesh playing the final game of the Three-Match One-Day International (ODI) series tomorrow, July 28, and the first game of the three-match T20 series next Tuesday. The games begin at 9:30 a.m. and 8:00 p.m. respectively. The President of the St. Kitts Cricket Association Dennis Phillip, who is responsible for hosting the game in Warner Park said preparations for the game are going well. Warner Park has seen some changes done to the venue over the years. The most recent upgrade was when the ground curators replaced the old pitch with a new surface. Tickets went on sale on Monday, at $65 EC in the stands and $25 for the mound. Philip implored all cricket fans to come out and support the regional side. “I want to encourage the public to come out and support the Windies I expect to see some good cricket at Warner Park,” he said.